Review policy of Crazy Book Reviewer. I love to read traditional, indie and self- published novels.i just like love finding such authors who are worth to be remembered by their books.. Links to blog, website, facebook page , twitter , amazon , smashwords , etc. No compensation or payment is received in exchange an honest review. Reviews will be posted on this blog ,Goodreads and Smashwords,Crazy book reviewer fan page and Authors desired page . I will also forward the link when the review is posted. If your book is accepted and i cannot give a good rating then a feedback would be provided as to why i cannot post the review. 1 Star and 2 Star Rating: This was not something I enjoyed and was most likely unable to finish the book. I don’t typically review 1 and 2 star books and will provide the author with feedback and my reasoning’s behind the review rating. 3 Star Rating: This was Okay – I enjoyed the book enough to finish it and I found positive elements throughout the book and would recommend it to others. 3.5 Star Rating: This was Good - This was a good read for me; maybe a great concept that fell short on execution but all together I enjoyed the novel and would read it again! 4 Star Rating: This was Very Good – Well worth the read, when I think back I remember the book and it makes me smile. It has a special place in my heart and this one would go on my bookshelf! 4.5 Star Rating: This was Excellent – It was almost a perfect read; a book that calls you while you are doing something else and that sticks with you after you are done. When I am done I typically miss the book and characters involved! 5 Star Rating – OUTSTANDING! FANTASTIC! A Must Read - I likely found a top character here; as I believe often times a great story is about that character you love. I have a new book boyfriend and want this book on display on my bookshelf. It leaves me with a feeling of want! Wanting MORE! 5 Star PLUS Rating – A book I cannot live without! FAN-FREAKING-TASTIC! Knocked my socks off kinda book! This will be awarded in rare occasions when a book is something I just can’t shake; it gave me that AHHHmoment! I need more and find myself going through withdrawals once the book is over! 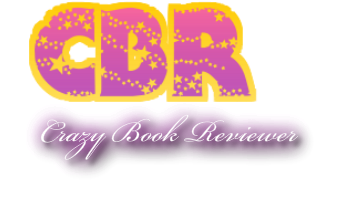 My goal is to provide professional and heartfelt reviews about the books and authors I adore. I feel that is best way to accomplished this is by taking my time to write in-depth reviews for the books at the top of my rating scale. I will put a lot of effort into writing my reviews to provide the author and readers the most accurate review rating possible. Please share your constructive feedback with me, it is how I learn and develop. Please feel free to email me with any news updates, hosting/participating in blog tours, and upcoming releases. I will do my best to include relevant news posts onto my blog/facebook fan page .